An academic study group has estimated that the casualty figure of the Liberation War in 1971 could exceed 3 million. The study group called Centre for Genocide-Torture and Liberation War Studies revealed this while unveiling part of findings of its ongoing research on 1971 genocide. Historian Professor Dr Muntassir Mamoon, who has been leading the group, unveiled partial findings of the research in a seminar held at the Bangla Academy on the eve of the Independence Day. “The figure is likely to exceed 3 million if our ongoing nationwide study is completed using the global positioning system (GPS), pinpointing the 1971 killing fields,” Dr Muntassir Mamoon told. Dr Mamoon said they so far compiled the statistics on the massacre survey in 20 of the 64 districts, listing 5,121 cases of mass killings. He said in each of the case, five to 1,000 people were slaughtered by the Pakistani troops and their cohorts while in one particular case of Jessore’s Chuknagar killing, over 10,000 people were mowed down in hours. State Minister for Cultural Affairs KM Khalid and Cultural Affairs Secretary Dr M Abu Hena Mostafa Kamal also attended the seminar as the study is being carried out with the ministry’s assistance. Prof Mamoon said in terms of casualty figure, the 1971 Genocide was the worst after the Second World War Holocaust when the then Nazi regime killed six million Jews in a systematic and bureaucratic manner in between 1941 and 1945. Muntassir Mamoon said the post 1975 regimes of General Ziaur Rahman, General Ershad and Begum Khaleda Zia along with the Jammat-e- Islami visibly tried to downplay the 1971 Genocide with an ill political motive. “All of them virtually tried to erase the ‘Genocide’ from the history” in pursuance of their politics to appease Pakistan and their Bengali cohorts of 1971, he said. Dr Mamoon said BNP just tried to portray Ziaur Rahman as the 1971 hero and simultaneously made their best efforts to hide the misdeeds of Jamaat’s the then outfits like al-shams and al-badar. The center, carrying out their studies through a state-sponsored project, is using the GPS facilities for the first time in South Asia to gauge the genocide intensity while in the second phase of the study, it surveyed 10 districts. These are: Gaibandha, Jamalpur, Narail, Panchagarh, Moulvibazar, Jessore, Lalmonirhat, Brahmanbaria, Cox’s Bazar and Barisal. In March last year, the centre revealed its survey results in 10 districts — Nilphamari, Naryanganj, Bogra, Natore, Kurigram, Pabna, Rajshahi, Satkhira, Bhola and Khulna. 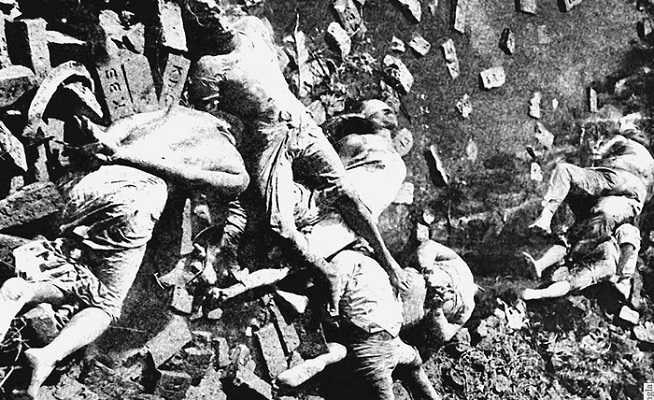 Mamoon, also a Bangabandhu Chair Professor and Chairman of 1971: Genocide-Torture Archive and Museum Trust, said the group identified a total of 5,121 mass killing incidents by the Pakistani occupation forces in 20 districts. He said their study found 404 killing fields, 502 mass-graves and 547 torture cells in the 20 districts.